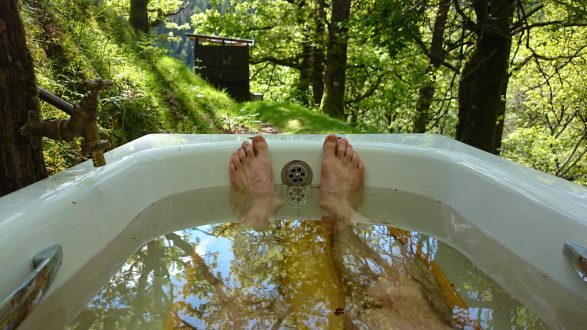 Hot bath under the stars! 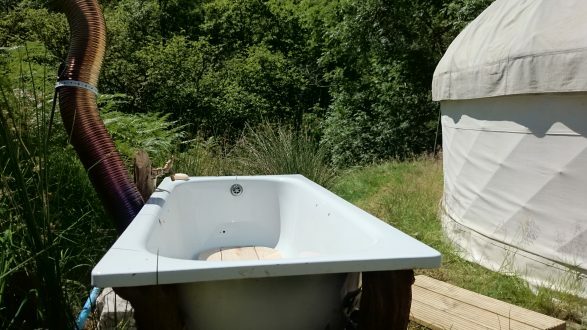 All of our tipis and yurts now have their own wood-fired bath just outside. 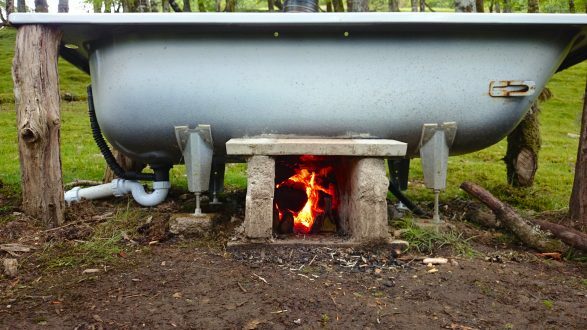 Light the fire in the stove underneath and in about an hour and a half (quicker than a hot tub!) 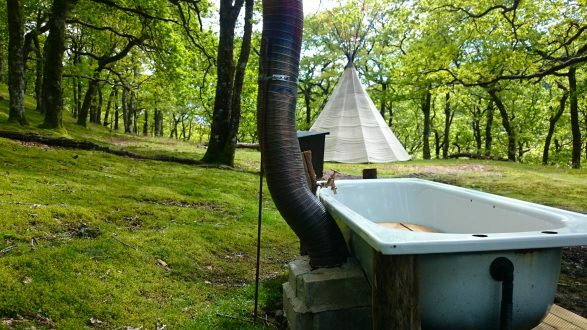 you can be enjoying a hot soak in the open air. With a bed of embers in the fireplace the bath can stay warm as long as you want – you’ll just have to take it in turns to bring tea or other refreshments. In case you’re wondering… when you get in you’ll need to sit on the cedar board or you might just get a hot bum!